It’s been over a year since Aziz Ansari addressed the sexual assault allegations against him. 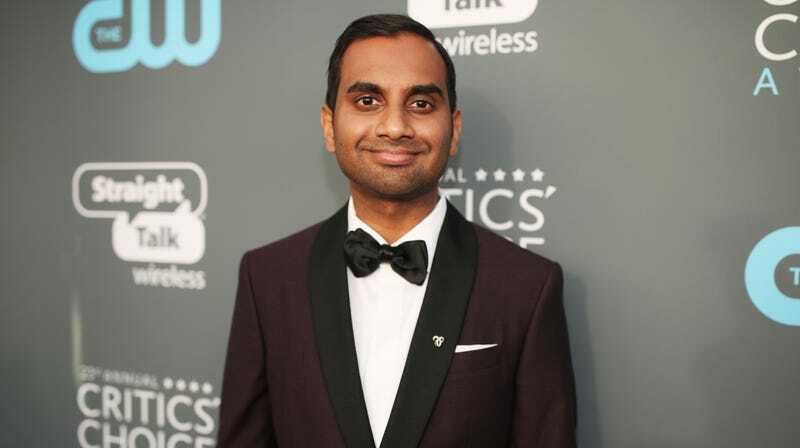 After an anonymous woman accused the comedian of pressuring her in a sexual encounter in a report published on Babe.net in January of last year, the Master Of None star said he was “surprised and concerned” in his statement, initially believing their encounter to be “completely consensual.” Ansari has remained quiet on the matter ever since, but during a recent stand-up show in New York City, the actor spoke about the allegations once more. Before his international stand-up tour kicks off later this spring, Ansari has been trying out new material in a series of small pop-up shows in Philadelphia, Washington D.C., and now Manhattan. On Monday night, the Parks And Recreation star returned to the Comedy Cellar’s Village Underground venue where, according to Vulture, he finally brought up the allegations, both in joke form and in a somber, reflective tone. The comedian also recalled a conversation he had with a male friend who said he’s re-evaluated his own encounters and dates with women since the Ansari allegation. “If that has made not just me, but other guys think about this,” Ansari said, “and just be more thoughtful and aware and willing to go that extra mile, and make sure someone else is comfortable in that moment, that’s a good thing.” That the allegation against Ansari has prompted larger discussions about the nature of consent certainly is a good thing, and his on-stage response to the matter was definitely handled better than by other disgraced comedians. But it would be especially interesting if Ansari used his platform and his time on stage to unpack those complicated conversations about consent. We’ll find out if Ansari continues to address the allegation throughout his Road To Nowhere tour, or if his New York set was the full extent of his comments. Netflix is ready for more Master of None "when Aziz is ready"